Welcome to Apple Annie's Restaurant and Bakery, located in Oak Glen, California. Oak Glen is one of the most scenic spots in Southern California that's open year round. 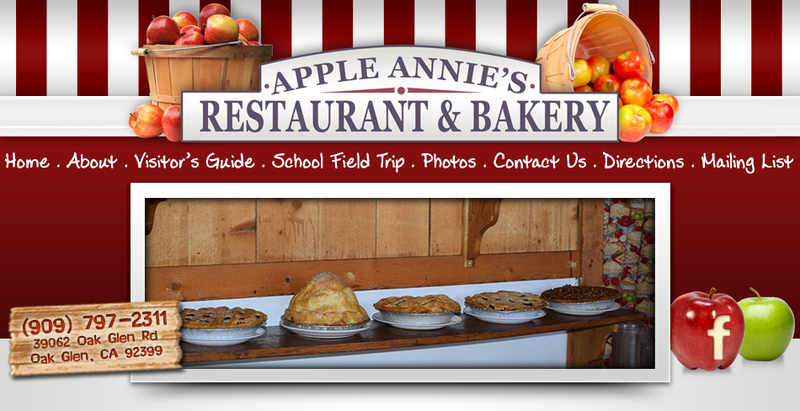 Apple Annie's is located in Oak Tree Village, nestled in the heart of apple country; where it is cooler in the summers and with just enough snow to play in the winters. Take a deep breath of fresh mountain air and enjoy the beauty of the changing seasons.